At Life Safety Services we provide a complete, professional, standards compliant service for the design, installation and maintenance of security and life safety systems. 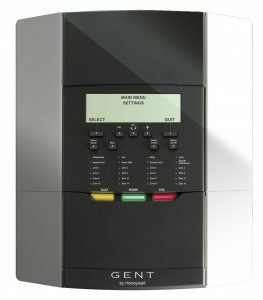 A life safety system can be defined as components of any building’s infrastructure that monitor the environment in and around the bulding for changes in state indicating presence of fire or smoke. Systems installed then react to this change of state in a manner that reduces or eliminates the risk of injury or damage. Initiating devices – such as smoke and heat detectors and manual alarm devices form the basis of ‘front-line’ monitoring and help to action states/events. LSS provide full control panel monitored, intelligent, analogue (full system, microprocessor based) systems tailored to our client’s specific needs. 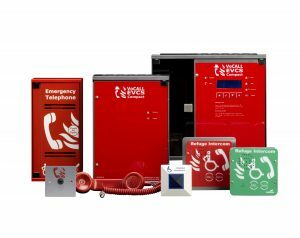 Notification devices – Such as bells, alarms and voice activated devices. We provide full CAD and electronic drawing design services as standard and aim to design systems to the bespoke requirements of each site, we also provide full schematic diagrams ,equipment literature and performance specifications prior to any installation. LSS provide 24 hour off site monitoring for any Security or Fire Alarm System and 24 hour engineer call out facilities 365 days per year. We advise clients in installing software within each system to allow our engineers to remotely diagnose and rectify any alarms which occur within the systems out of hours, minimizing key holder visits site to a minimum. We are a Gent Approved System Integrator meaning we can supply Gent equipment and carry out design, installation, commissioning and maintenance operations to the highest standards of workmanship throughout the U.K.
Life Safety Services are in a position to offer state of the art Installation and servicing to our existing and new client base throughout Scotland.